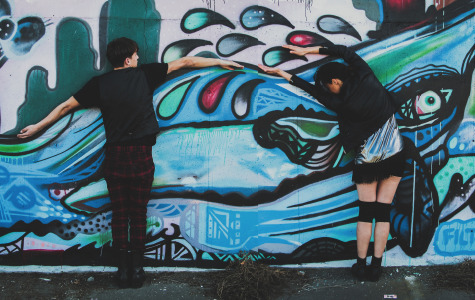 The Hagley Dance Company is a full-time dance course in Christchurch taught by leading New Zealand choreographers and dance professionals aimed at students wishing to take their dance training to the next level and prepare for tertiary study. Hagley Dance Company has graduated over 130 students since its creation in 2000, with many of these students moving on to professional dance degrees at tertiary institutions such as the University of Auckland and UNITEC, and professional dance companies throughout Australasia including Black Grace. The Hagley Dance Company course is a year long full-time programme for students over 17 years of age. The course focuses on Technique, Choreography and Performance and includes training in contemporary dance, hip hop, ballet, jazz, yoga, anatomy, nutrition, dance history, and pilates. Students will gain exposure through nationally reviewed performances. There will be many performance and real-life industry opportunities throughout the year including a High Schools tour throughout Canterbury, performances at various venues around Christchurch such as Isaac Theatre Royal, Coca Gallery, Christchurch art Gallery, and major productions like the end of year Graduation show choreographed by current industry professionals. In addition to the full-time Company, Hagley College offers Dance at all NCEA levels for students wishing to achieve national standards in Dance. Are you passionate about performing and dance? Are you looking for the perfect pathway for high level dance training? Hagley Certificate in Dance upon completion. We also offer National Standards in Dance at NQF Levels 3. The Sheryl Robinson Memorial Scholarship offers up to $1500 to support current or former members of the Company in their tertiary study. The Hagley Dance Company is a full-time dance course taught by leading New Zealand choreographers and dance professionals. It is aimed at students wishing to take their dance training to the next level and prepare for tertiary study. The course focuses on technique, choreography and performance and includes training in contemporary dance, hip hop, ballet, jazz, yoga, anatomy, nutrition, dance history, and pilates. Hagley Dance Company is a stream of Hagley Theatre Company. Targeted classes such as Musical Theatre, Physical Theatre and Singing will be shared with the fulltime theatre students.